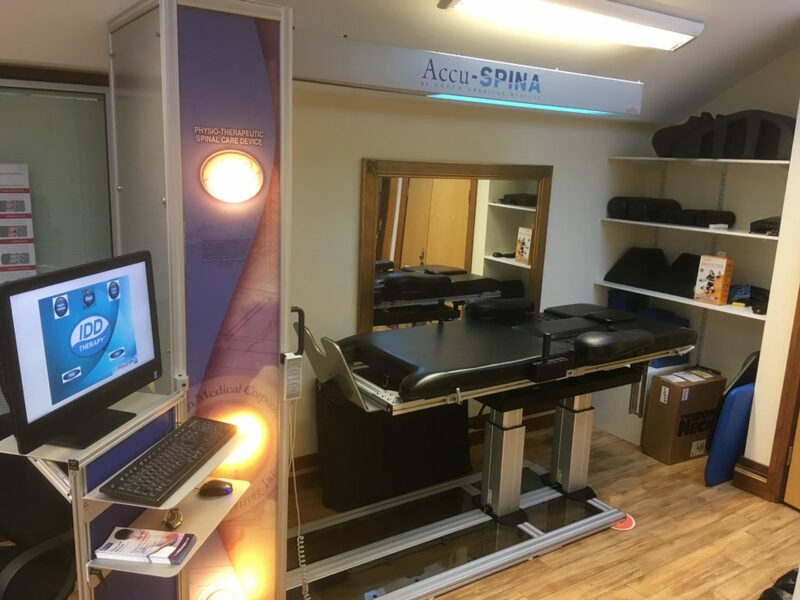 The London Spine Clinic provides the full spectrum of spine services, from manual therapy to pain management, injections and surgery. The expansion of the IDD Therapy programme now means that the clinic has a comprehensive service to help patients who need something more than manual therapy and who either aren’t suitable for surgery or wish to pursue non-invasive options first. Accu SPINA treatment couch in an upright position means that patients can get on to the treatment couch more easily, and exit safely after a 25 minute session. 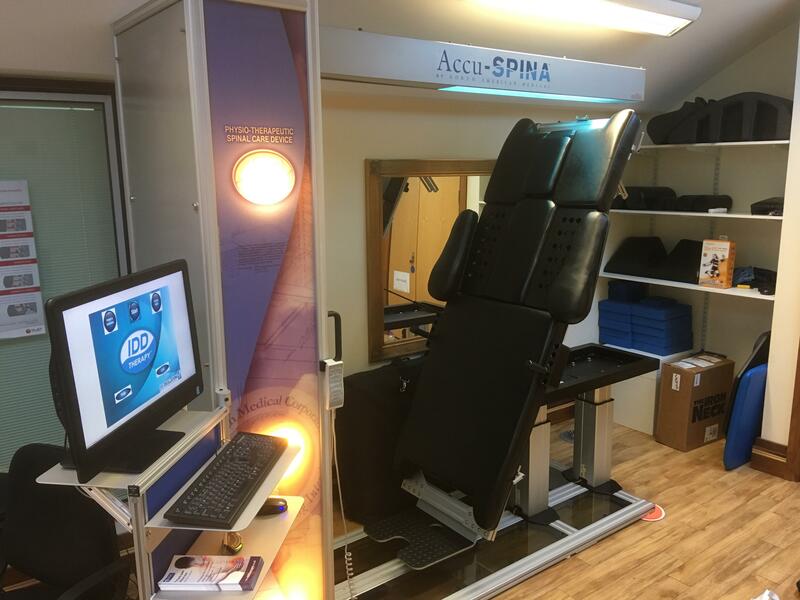 Accu SPINA situated in the London Spine Clinic.